The sorcerer Alder fears sleep. The dead are pulling him to them at night. Through him they may free themselves and invade Earthsea. Alder seeks advice from Ged, once Archmage. Ged tells him to go to Tenar, Tehanu, and the young king at Havnor. They are joined by amber-eyed Irian, a fierce dragon able to assume the shape of a woman. The threat can be confronted only in the Immanent Grove on Roke, the holiest place in the world and there the king, hero, sage, wizard, and dragon make a last stand. 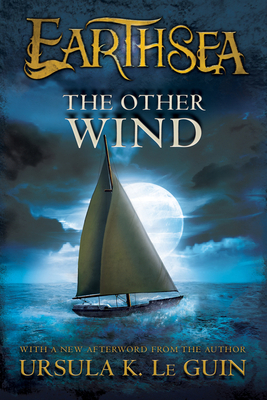 In this final book of the Earthsea Cycle, Le Guin combines her magical fantasy with a profoundly human, earthly, humble touch.